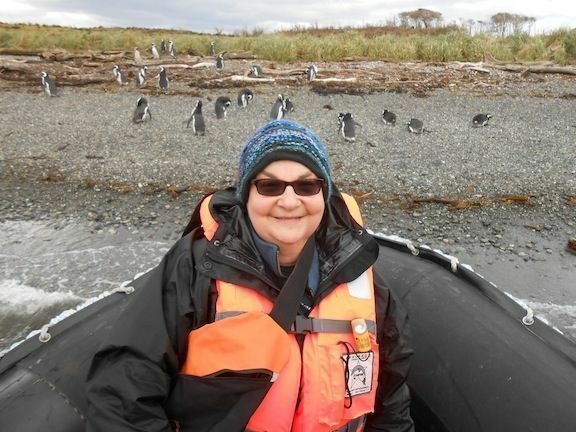 Families who have “been there, done that” (even in Paris, Alaska or on an African safari) will be interested to learn about Cruceros Australis amazing adventure cruises in Patagonia. 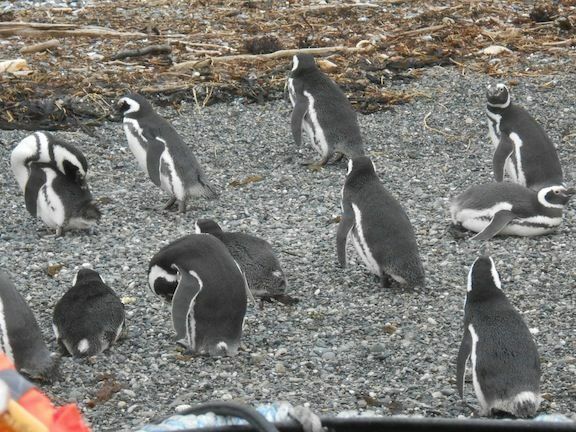 A family vacation to Disney World is one type of adventure, but what about a family vacation to the “End of the World?” Sailing from Punta Arenas, Chile you will have the rare opportunity to stand on legendary Cape Horn Island and disembark in Ushuaia, Argentina, the southernmost city in the world, and the capital city of Tierra del Fuego. 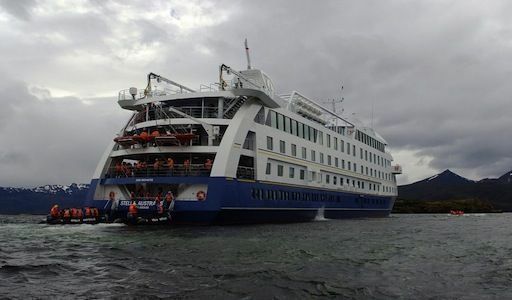 I was very fortunate to join a four-night media trip aboard the Stella Australis which sailed from Punta Arenas in mid-October. Cruceros Australis offers the most interesting route as they are the only line that sails through the Strait of Magellan, and along the glaciers and fjords. We arrived there via LAN airline on a brand new Boeing 787 Dreamliner aircraft, whose state-of-the-art features and new technology include a vaguely futuristic design, a quieter, more efficient engine, LED lighting and very large windows. It was a most comfortable overnight flight. While the cruise line welcomes children of any age, I recommend this adventure for mature tweens and teens. This is an expedition cruise; not a typical family cruise experience – no TVs, video games or internet, no swimming pool, kid’s club or babysitting. But, for older kids, especially those who have an interest in wildlife, the sciences, history, ecology, exploration, or nature, this trip is a rare adventure that will resonate for a lifetime. Additionally, a trip like this can be a great experience for teens with their grandparents, and for adult children with their parents and siblings. Onboard, the Expedition Cruisers M/N Via Australis (built in 2005 with 64 cabins and a capacity of 136 passengers) and M/N Stella Australis (built in 2010 with 100 cabins, a capacity of 210 passengers, and a workout facility) offer a relaxed and casual atmosphere. There’s no need to bring fancy duds, just the kind of outdoor clothing sold, ironically, at Patagonia.com. While the seas were not overly rough (except for one pretty scary overnight), it’s probably a good idea to bring motion sickness medicine, and/or wrist bands. Comfortable lodging, hearty meals, educational sessions by a multi-lingual staff, and low-key evening entertainment provide for a very pleasant, as well as exciting journey. The all-inclusive rates for this once-in-a-lifetime trip include your ship transportation, lodging, all meals, wine and alcoholic beverages, and unforgettable excursions. The cabins, with two twins or a double bed, provide more than ample room. While there are no verandas off the cabins, those on the upper deck of the Stella Australis have a huge floor-to-ceiling window. The bathroom is spacious (for a cruise ship) with a great shower and lots of hot water. There are several cozy lounges on board, as well as a shop for souvenirs and necessities. Onboard tours of the engine room and the wheel house (bridge) are offered. 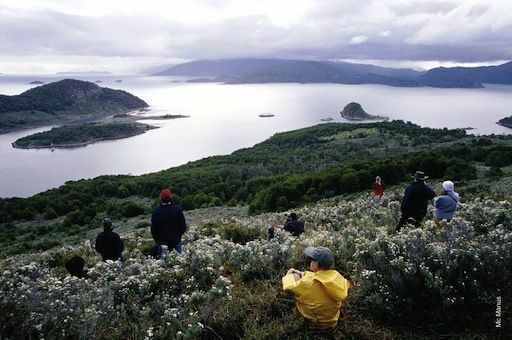 While the scenery of the snow-capped Andes Mountains, the Strait of Magellan and the Beagle Channel from the ship is awesome, the real fun begins when the ship’s anchor is dropped, and passengers, all suited up with waterproof clothes and life jackets, assemble to board small, inflatable Zodiac boats to enable disembarkation at various points of interest. During these excursions, experienced guides provide an unforgettable adventure and share their knowledge of the region, all while ensuring your safety. I was more than a bit trepidatious about the Zodiac trips – afraid of losing my balance and falling into the sea — but the very strong and kind guides put me at ease, and the time actually spent in them was quite brief. Our first stop was at Ainsworth Bay within Alberto De Agostini National Park where we saw several huge elephant seals lounging on the beach. We disembarked from the Zodiac nearby and took a short hike to explore areas of the Darwin Range Ice Field and the flora of a remote Magellanic subpolar forest, learning how the resiliant forest grows in this harsh environment. After returning to the ship and eating lunch, we boarded the Zodiacs again, for the excursion I was most excited about. We were off to Tuckers Islets to visit a colony of Magellanic penguins who are exclusive to the southern hemisphere and who come to these shores in spring to breed. They are monogamous, seeking out their same mates year after year, recognizing their partners by vocalizations. While we respected their space and didn’t leave the Zodiacs to walk amid the birds, they were very happy to greet us at the beach and strut their stuff. We also saw a colony of beautiful cormorants and other striking birds. The next day’s excursion was to the Pia Fjord where we disembarked the Zodiacs and viewed the magnificent Pia Glacier. Here, there was an option to take a short walk (my choice) or a longer, more strenuous hike to vantage points from which to take in the sight. From either location we were able to observe the glacier calve, or set loose chunks of ice. We learned that while parts of a glacier may look blue, it is all actually white, but the ice is so dense that it absorbs all colors of the spectrum, except blue. As we passed each, we were served snacks (think sausage, cheese, meatballs) and beverages (think beer, champagne, and wine) from each of the countries represented, while regional music was played in the background. It was a lovely moment, typical of the friendly (not stuffy) service aboard the ship. The next morning it was up bright and early for the ultimate excursion: Cape Horn Island, “The End of the World.” Discovered by the Dutch in 1616 and declared a UNESCO World Biosphere Reserve in 2005, the island is the last land mass between the mainland of South America and Antarctica, which is located 600 miles south across tumultuous Drake Passage. At Cape Horn, the meeting point of the Atlantic and Pacific Oceans, the strong currents can be treacherous and the wind unrelenting. Before the discovery of the Strait of Magellan and the construction of the Panama Canal this was the only route between the oceans, and the location of nearly 800 shipwrecks. This excursion occurs only if the weather conditions are considered favorable, which, thankfully, is most of the time. However, if the captain is not certain that it is safe, passengers are not permitted to leave the cruise ship to board the Zodiacs, and, if the weather conditions worsen, they are not permitted to complete their visit onto the island. We had good conditions and proceeded. 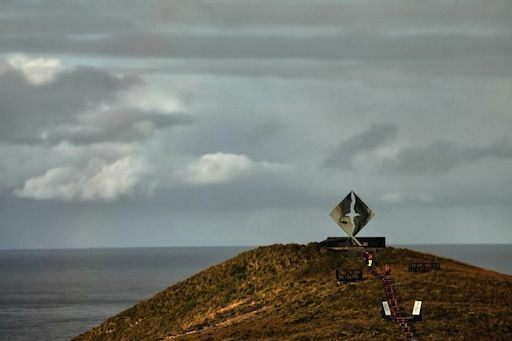 Visitors climb some 160 steps to reach the top of the island to enjoy the incredible view, and where there is a lighthouse, a small church, and the Cape Horn monument – a statue of an albatross – in memory of the sailors who perished in the waters surrounding the island. After a few more hours of rocking sea and falling snowflakes, the waters calmed as we arrived at Wulaia Bay on glassy blue water under sunny skies. Such changeable weather is common in Patagonia, especially after leaving the area around Cape Horn. Following lunch we suited up for the final excursion onto land for a journey into the past, and here again there was the option of a gentle coastal hike or a more challenging hill hike. We discovered traces of one of the area’s largest settlements of the native Yamana or Yaghan, the southernmost people of the world, and learned of their encounters with European explorers. 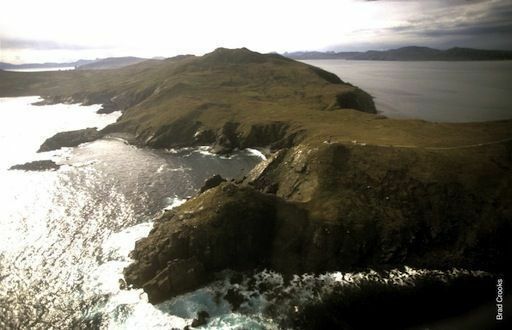 It was here that Charles Darwin arrived on the HMS Beagle in January of 1888. We explored stunning geography and vegetation, and in order to enhance the experience, Cruceros Australis has created an educational center with information on the cultural and archeological heritage of this aboriginal group. 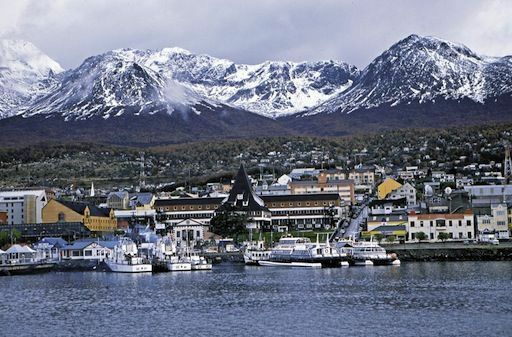 We sailed through the final night, and in the early morning hours I viewed the city of Ushuaia, Argentina from the window. After days of sailing through such remote areas, I was very excited to see buildings, lights, moving cars and other signs of civilization. We disembarked at 8am, and went immediately to the airport for our flight to Buenos Aires for a few days of sightseeing, tango and gauchos. Depending on your itinerary, you may want to spend some time here in the most important city in Tierra del Fuego where there is a National Park, a museum, a lighthouse and other points of interest. I am astonished at the courage (some might say madness) of those intrepid explorers who discovered this inaccessible part of the planet, and thank them for their determination which has allowed me to have experienced the stark and awesome beauty of the southern side of our planet. 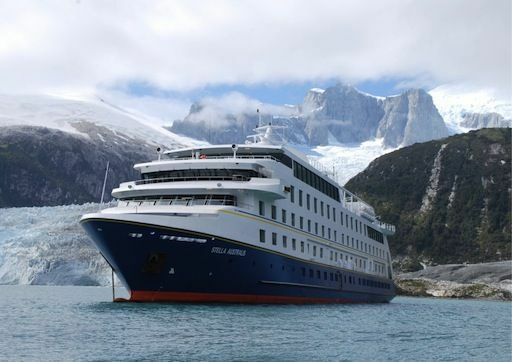 Three, four and seven-night itineraries to Patagonia are offered by Cruceros Australis during the months of September through April (their spring), sailing between Punta Arenas and Ushuaia, a distance of 586 nautical miles. One-way and round-trip journeys vary in their embarkation ports and excursion sites. Additionally, the specialty cruises “The Route of Charles Darwin,” “Whale Watching” and “National Geographic Photographer” are offered on a limited schedule, but if these topics are of interest to your teens, you should consider joining them for their special focus. School age children and teens will thrive in this atmosphere where they can be independent yet face their fears with strong support. 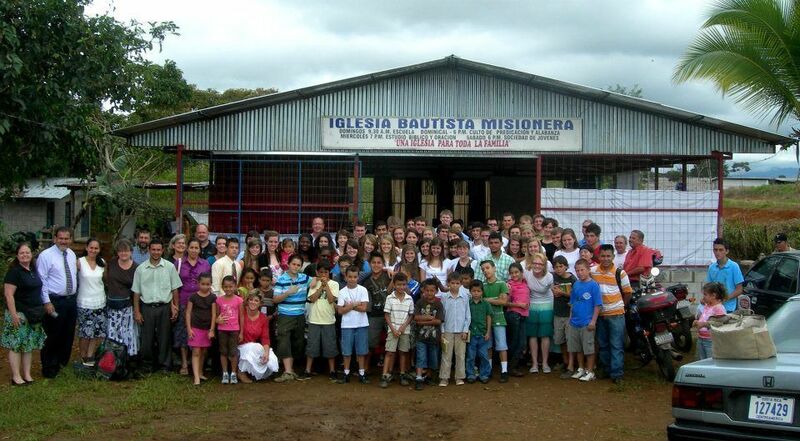 This is a once-in-a-lifetime expedition that I guarantee will never be forgotten, but not a budget family cruise. The rates, based on cabin level and dates, range from $1,389 to $3,338/pp for a 3-night journey, $1,683 to 4,054/pp for a 4-night journey and $2,765 to $6,675/pp for a 7-night journey. Check their site for special promotions. Cruceros Australis does offer free rates to children 0-3 years sharing a bed with an adult, and discounted rates to kids ages 4-12 years who share a cabin with an adult. Check out the website for their annual December special (remember this is the middle of their summer season), when all kids ages 17 and younger cruise for free. Do follow the recommendations for appropriate clothing – rain jackets and pants, good waterproof trekking or hiking shoes, waterproof gloves, and layers of sweaters and jackets. The ship supplies the life jackets and can lend you rubber boots. The onboard shop does sell some of these items at pretty reasonable prices, but it’s good to come prepared. Help with booking airfare to your embarkation point, the cruise itself, and before and after travel in Chile and Argentina is available through Borello Travel & Tours, a foremost tour operator in South America. 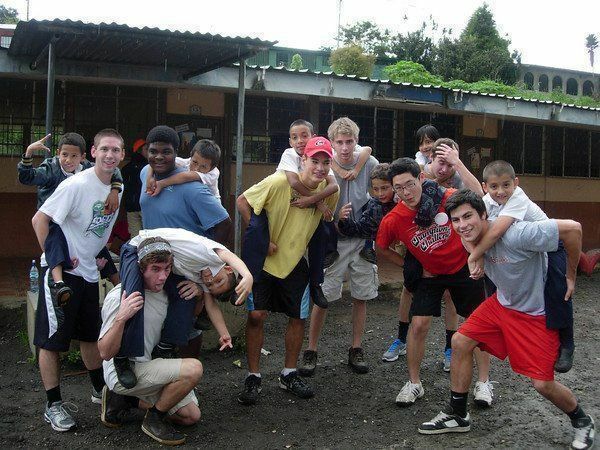 What an adventure, I would love to do embark on a journey like this with my teens. 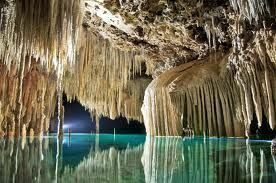 The flora and fauna seem incredible, the guides professional. Thank you for sharing!